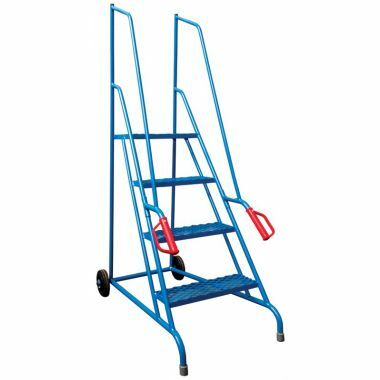 Supertuff Europe provide industries with a wide range of step ladders for safely reaching goods and stock on elevated levels. 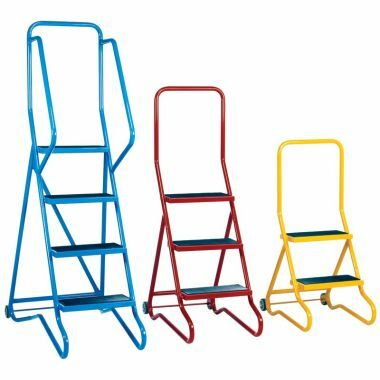 Step ladders are an essential piece of equipment in a number of environments and it is important they are built to a high quality. Manufactured using lightweight aluminium or powder coated steel, these units are compliant with health and safety regulations and reduce the risk of injury in the workplace. 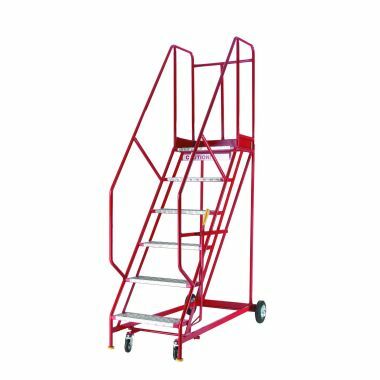 Spring loaded safety steps and mobile safety steps can be easily manoeuvred using the swivel castors that are fitted to the feet, but lock down to create a stable platform when weight is applied on the steps. 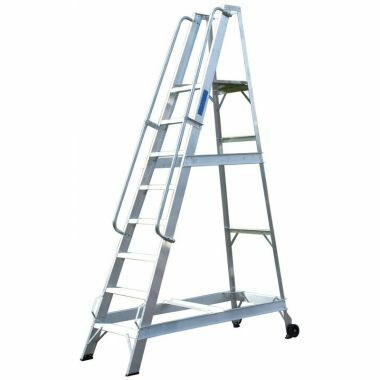 The StepTek ladder utilises a hand operated anchor that will secure the wheels with or without pressure being applied on the steps. 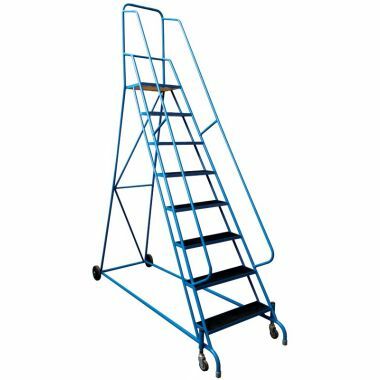 Protective hand rails and anti-slip rubber treads provide excellent levels of security for the ladders during use and reduce the risk of users losing their balance or slipping on wet steps. 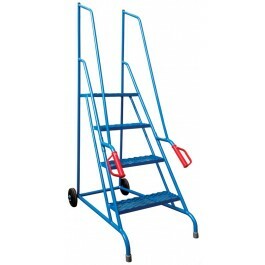 We provide safety ladders that are available with a wide variety of steps to choose from. 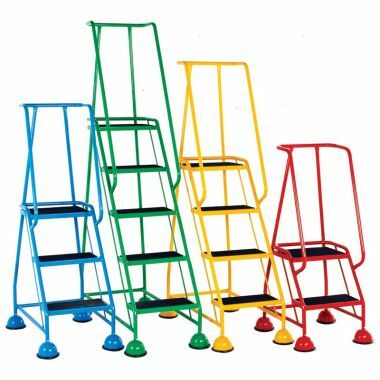 The steel mobile safety steps can also be supplied in a range of colour options to integrate into colour coding systems.